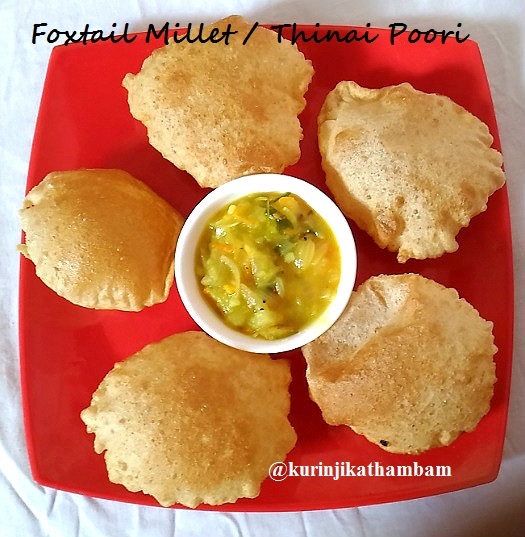 It will be very surprising that Tinai Poori is almost indistinguishable from normal wheat poori and the taste is also marginally different. One can eat more Thinai pooris than Wheat pooris and also not feel stuffy in the stomach. 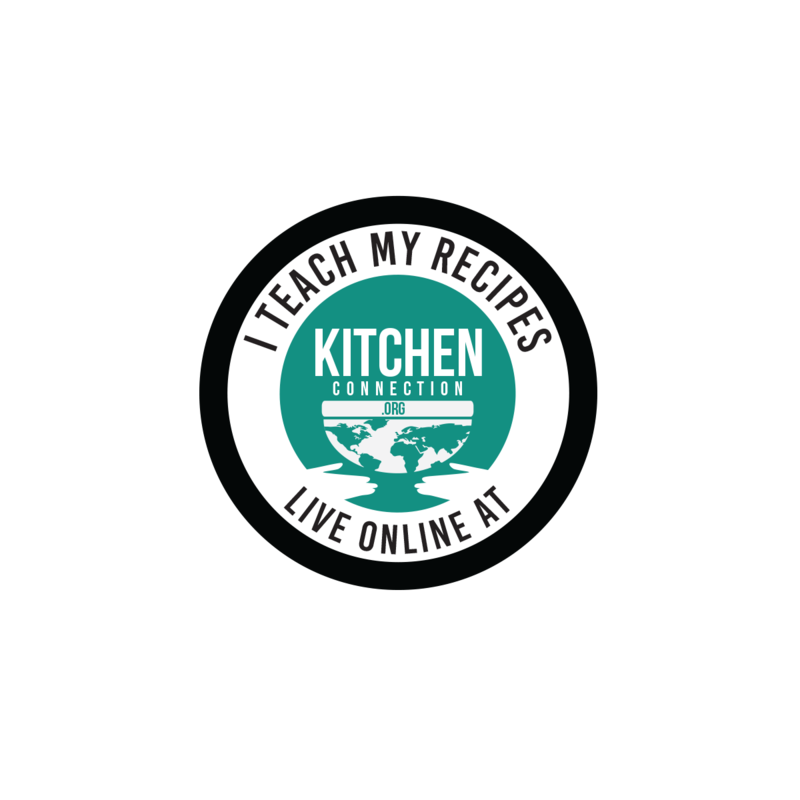 Preparation Time: 5 mins | Cooking Time: 10 mins | Yields: 15 nos. 1. Add Wheat flour, foxtail millet four and salt in a wide bowl. Mix them well with your finger or spoon. 2. Add water little by little and knead into a soft dough. Keep aside for 5 mins. 3. Divide the dough into equal lemon size balls. Roll it into a medium size circles or press them using the pressing machine. 4. Heat the oil in a frying pan and slide the poori. After few seconds, press it with the help of the ladle with holes.. 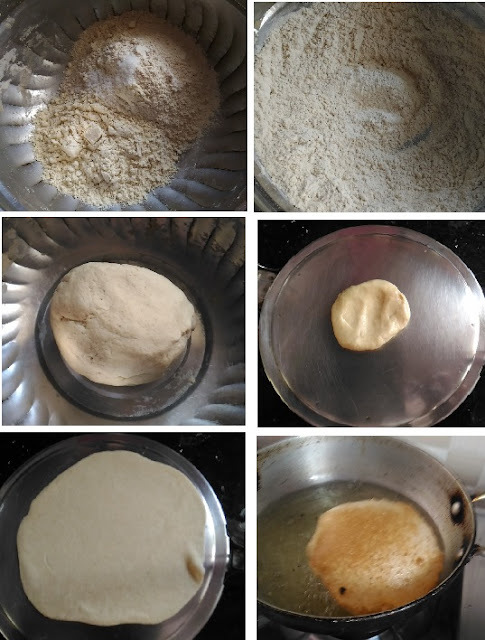 When it puffs up, turn over it carefully and fry the poori till it turns into golden on both sides. Then take it out from the oil and drain the oil using the tissue paper. Serve it with potato masala. Click here for more poori recipes. Kudos! I think I should attempt this.